Discovery PICO represents the second generation of picosecond lasers that due to its proprietary technology, is the most innovative medical laser available today in the market. It has an Nd:YAG double-wavelength laser source emitting at both 1064 nm and 532 nm, provided by the exclusive Quanta Pico-Boost Technology (patent pending). 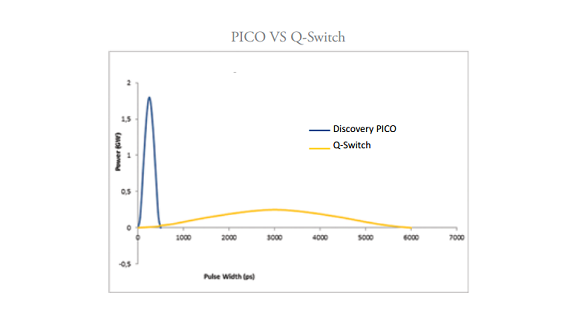 This feature makes possible to work in a Picosecond mode delivering up to 800 mJ of energy and up to 1.8 GW of power and in Q-Switch and Photo-Thermal modes, thus making Discovery PICO the most powerful and flexible laser in its class. The innovation introduced by Discovery PICO consists in peak power level through ultrashort pulses that is twice more powerful than any other Picosecond laser for medical applications. 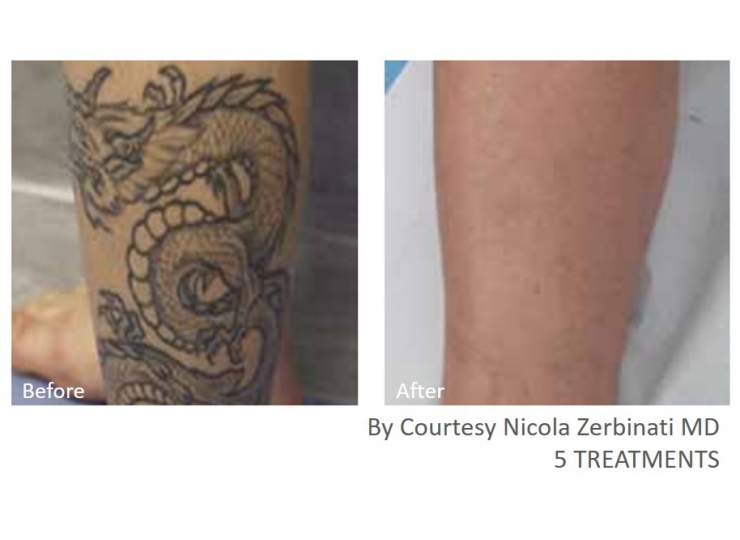 This has enhanced the treatment results increasing the efficacy on hard-to-treat tattoo inks with a general reduction in the average delivered energy dose compared to traditional Q-Switched lasers. Discovery PICO is an innovative laser with a contemporary Italian design that opened a new era. 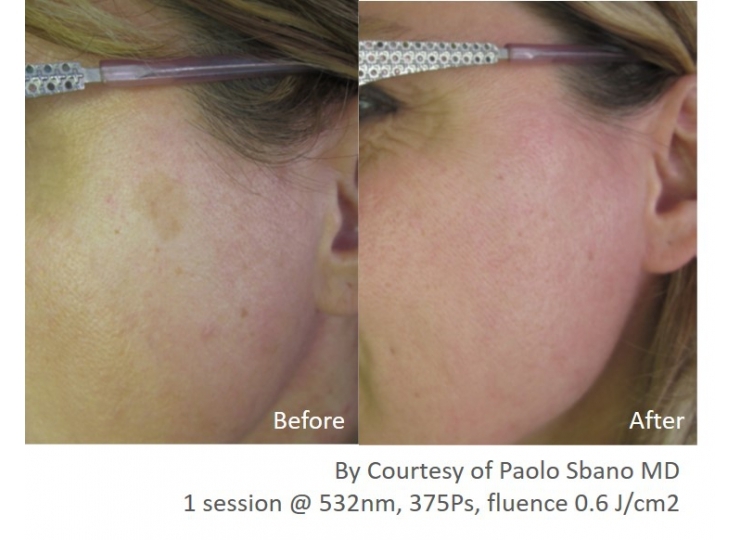 It is developed by Quanta System with a “historical” strong reputation for ultrashort-pulsed lasers and it is dedicated to all professionals that want to be a point of reference in the aesthetic field, through the most advanced laser technology which offers excellent results to patients. 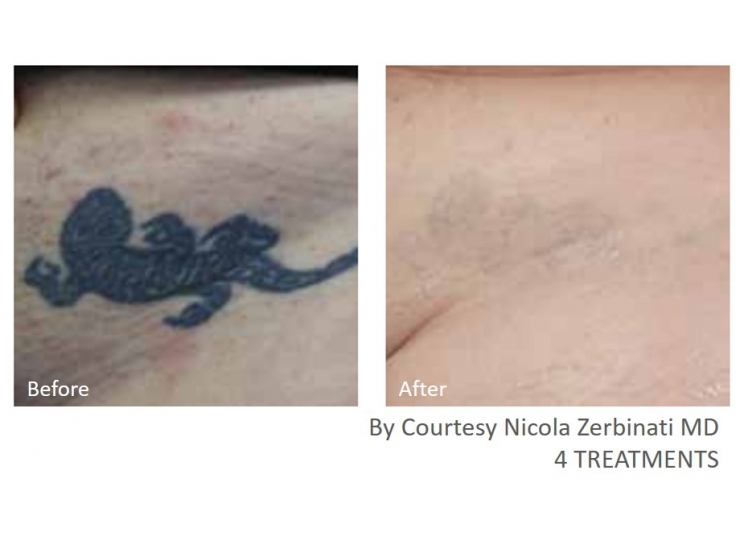 Discovery PICO uses the most advanced laser technology for the treatment of pigmented lesions, aged skin and tattoos. 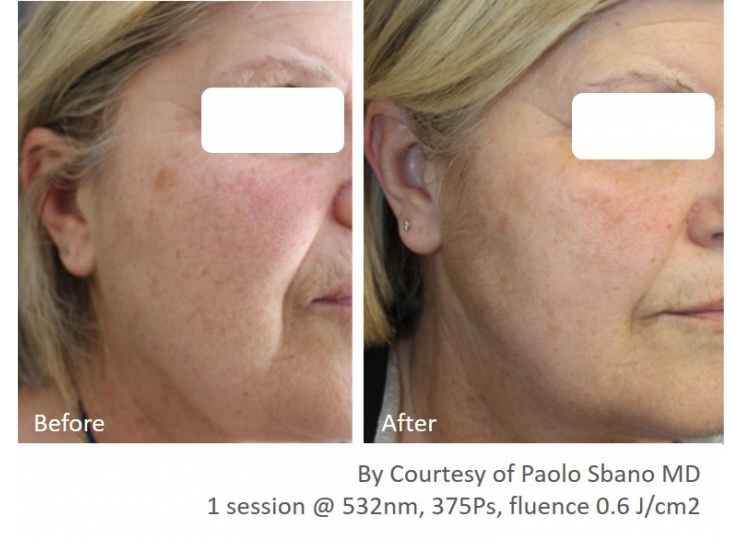 Laser pulses generate a pure photoacoustic effect which targets the pigments, leaving the surrounding tissues unaffected. 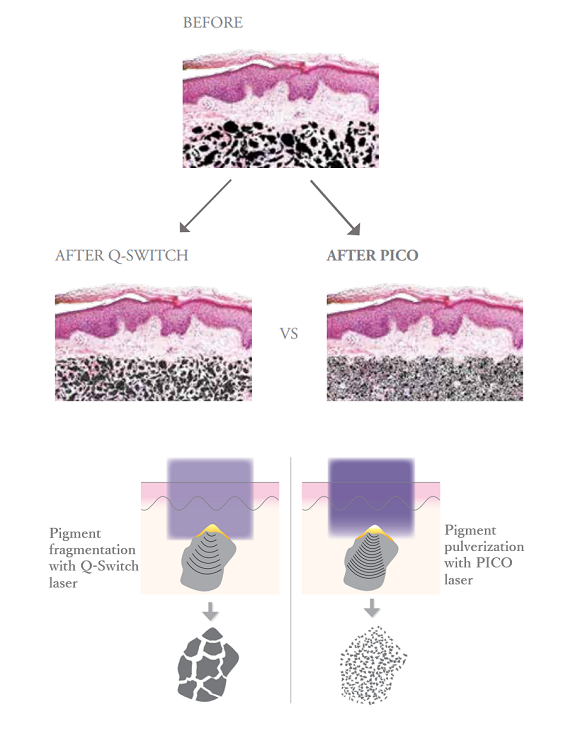 Compared to traditional Q-Switched lasers that break down the pigmented particles in granules, Discovery PICO, by the use of powerful. Picosecond pulses, fragments the particles in a really thin “dust”, which is easier to be eliminated by the body immune system. When the laser radiation emitted at ultra-short picosecond pulses is absorbed by an ink particle or a cluster of particles inside the skin, it generates an extremely rapid rise of temperature up to 900° C(1). This rapid heating induces an extremely fast expansion in the particle, which generates a mechanical (acoustic) wave that crosses over the particle itself. The generated wave exerts a pressure that exceeds the fracture threshold of the particle, causing its fragmentation(2). This process is called photoacoustic effect. Thereafter, the fragments can undergo phagocytosis by macrophages and be removed through the lymphatic vessels. The photoacoustic effect in Discovery PICO is more efficient compared to Q-Switched lasers, because the exceptionally high laser power generates high internal mechanical pressure, which is literally able to “pulverize” the particles. The extremely short pulses obtain the best results before the scattering energy goes towards the surrounding tissues, in order to produce more effective treatments and greater safety for the patients. To make this happen, it is necessary that the pulse duration is shorter than the time of crossing over of the mechanical wave within the particle, which for the thinner inks and melanosomes is fast, and precise in picoseconds.